The SR10 series from Caddock are precision current sense resistors, with a resistance range from 0.008Ω to 1Ω and a maximum operating temperature of +150°C. These resistors have a maximum power rating of up to 1W (at 70°C) and tolerance of ±1.0%. The Caddock SR10 resistors offer a non-inductive design, compact footprint which minimises circuit board space, terminals are constructed for Kelvin connections to the circuit board and have the proven performance of Micronox® resistance films to achieve a low cost resistor. This compact construction makes this sense resistor ideal for many current monitoring or control applications. The SR20 series from Caddock are precision current sense resistors, with a resistance range from 0.005Ω to 1Ω and a maximum operating temperature of +150°C. These resistors have a maximum power rating of up to 2W (at 70°C) and tolerance of ±1.0%. The Caddock SR20 resistors offer a non-inductive design, compact footprint which minimises circuit board space, terminals are constructed for Kelvin connections to the circuit board and have the proven performance of Micronox® resistance films to achieve a low cost resistor. The A-H1 through-hole resistor series from Isabellenhütte offers 4-terminal connection technology for current sensing applications. Designed for easy heat sink mounting, the Kelvin connections on this resistor allow high precision measurements even with low resistance values range from 0.001Ω to 100Ω available. The A-H1 series from Isabellenhütte has low inductance and has high pulse power handling capabilities. The A-H2 through-hole resistor series from Isabellenhütte offers 4-terminal connection technology for current sensing applications. Designed for easy heat sink mounting, the Kelvin connections on this resistor allow high precision measurements even with low resistance values range from 0.001Ω to 100Ω available. The A-H2 series from Isabellenhütte has low inductance and has high pulse power handling capabilities. The AZ-H1 through-hole resistor series from Isabellenhütte offers 4-terminal connection technology for current sensing applications with very low TCR. Designed for easy heat sink mounting, the Kelvin connections on this resistor allow high precision measurements even with low resistance range of 0.002Ω to 1Ω. The AZ-H1 series from Isabellenhütte has low inductance and has high pulse power handling capabilities. The AZ-H2 through-hole resistor series from Isabellenhütte offers 4-terminal connection technology for current sensing applications with very low TCR. Designed for easy heat sink mounting, the Kelvin connections on this resistor allow high precision measurements even with low resistance range of 0.002Ω to 1Ω. The AZ-H2 series from Isabellenhütte has low inductance and has high pulse power handling capabilities. The BVH 4-terminal through-hole precision resistor series from Isabellenhütte is a chip size of 3820 with solid copper connections. 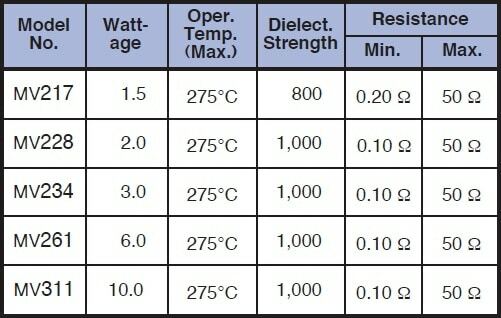 The resistance values available are 0.0003Ω, 0.0005Ω, 0.001Ω and 0.002Ω with a TCR of <100 ppm/K (0.001Ω and 0.005Ω) and <300 ppm/K (0.0003Ω and 0.0005Ω). The BVH series from Isabellenhütte offers a continuous current up to 100A (0.0003Ω), with excellent long term stability and AEC-Q200 qualified. The PBH through-hole resistor series from Isabellenhütte offers 2-terminal connection technology for current sensing applications. Designed for easy heat sink mounting, this resistor allows high precision measurements even with low resistance value range from 0.002Ω to 100Ω. 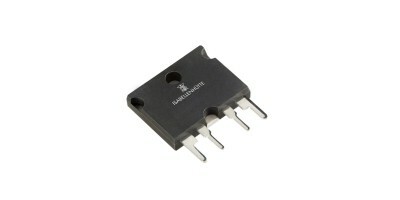 The PBH series from Isabellenhütte has low inductance and has high pulse power handling capabilities. The PBV through-hole resistor series from Isabellenhütte offers 4-terminal connection technology for current sensing applications. Designed for easy heat sink mounting, The Kelvin connections on this resistor allow high precision measurements even with very low resistance values range from 0.0005Ω to 1Ω available. The PBV series from Isabellenhütte has a pulse power rating of 2J for 10ms capabilities. The MSR-3 resistor series from Riedon uses a bare metal element in an all-welded construction for through-hole circuit board mounting to provide resistance values from 0.005Ω up to 0.1Ω, while also achieving low inductance (<10nH) and a low TCR (±20ppm/°C). The MSR resistor series is available in various sizes, tolerances down to ±1.0% and power ratings up to 5W, with the MSR-3 range offering a power rating of 3W. The MSR-5 resistor series from Riedon uses a bare metal element in an all-welded construction for through-hole circuit board mounting to provide resistance values from 0.005Ω up to 0.1Ω, while also achieving low inductance (<10nH) and a low TCR (±20ppm/°C). 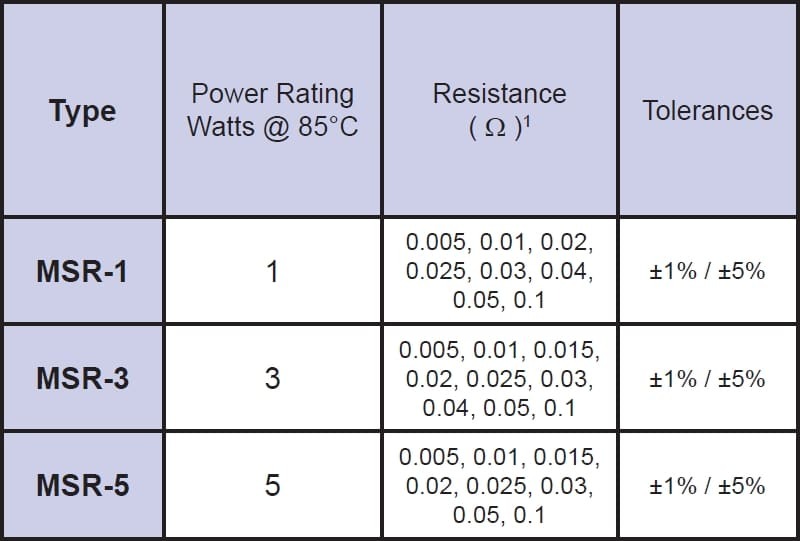 The MSR resistor series is available in various sizes, tolerances down to ±1.0% and power ratings up to 5W, with the MSR-5 range offering a power rating of 5W.